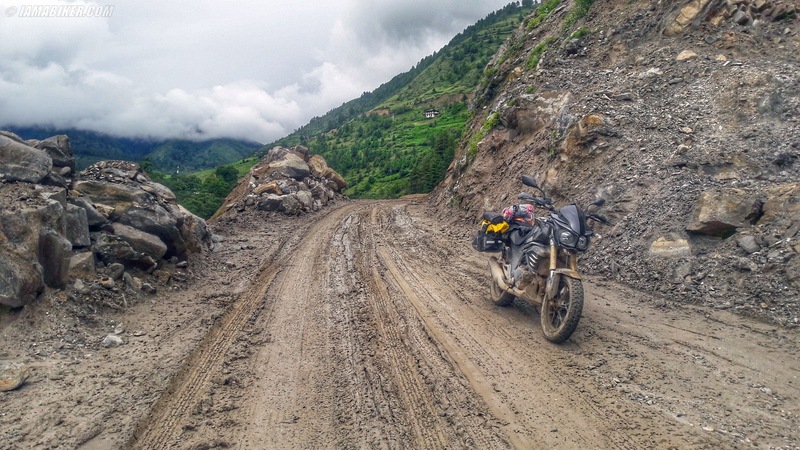 Discovering Bhutan on the Mojo | IAMABIKER - Everything Motorcycle! 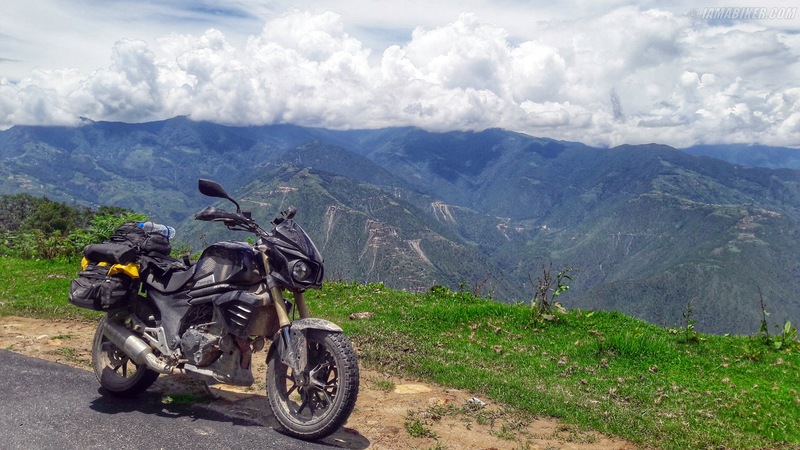 Hi, I’m Sarath Shenoy and this is my Bhutan Trail story on the Mahindra Mojo. After reading an article on the internet that described a satisfying trail to Bhutan, I got interested and asked a friend about his earlier experience out there. Barely ten minutes into the call, I decided to visit Bhutan and commenced putting together relevant plans prior to taking my Mojo and hitting the road. The Bangalore – Phuentsholing route via Chennai – Bhuwaneshwar – Kolkata to Siliguri was selected since I had to catch-up with some old friends on my way to Phuentsholing. During this amazing journey, I covered a distance of around 2500km over six adrenaline rushing days. The Mojo was an excellent companion all along while Mahindra Service Centers made this journey less hectic and tiring ensuring a safe ride throughout. It offered full support across the mountains, back roads and slush fest – never letting me down. I rode into Phuntsholing through the beautiful tea gardens of Assam. The road is mainly tarmac but gives way to craters that would swallow-up Mars. Entering Bhutan, the realisation occurred that there is peace and love all around. The drivers are relaxed and follow lane discipline, no honking, no overtaking and nothing. Wow! A perfect world I thought. With relevant permits in hand, I rode up from Phuentsholing to Thimpu in little over four hours. Keeping in mind, this route is only about 130 odd km, it took me this long as I took enough breaks to enjoy the roads and view around. Reaching Thimpu at around 10 in the night, I was slightly shocked to see a huge shadow in the clouds which somehow looked like Buddha and pondered if it had a message for me. However, I kept it to myself and went to sleep. Getting-up in the morning and after enquiring with locals, I was advised to visit Buddha Dordenma – a gigantic Shakyamuni Buddha statue, measuring 169 feet (51.5 meters) — making it one of the largest rupas in the world. Being late in getting my permit extensions, I decided to ride up to Haa valley and thereafter to Paro and head back into Thimpu. Thimpu to Haa valley is about 120 km but takes around five hours since roads are narrow and have tight turns. However, the valley is so beautiful that you wouldn’t want to blast past. Already having marked a lodge en-route, I came back to call it a night. At about Rs. 1000, it seemed good with an average view from the balcony. Well, all I needed was a good night sleep before wearing down my bones in the coming days. Haa to Thimpu is doable in a day but would mean that you miss out on the Tiger’s nest. And why would you want to do that? This road section is very tiring and will slow you down often. Bad roads to no roads will keep you on edge while you enjoy the valley by your shoulders. Day three saw me riding into Thimpu and getting the permits sorted. The plan was to ride until Trongsa and call it a day. This journey was merely about 200 odd km but it took me three days – this was slightly odd considering the fact that I have done 800 plus km in a day. As I entered Punakha, the slush fest began and did not end for the next three days until Tashigang. It was a proper ankle deep slush because of which I kept sliding all over the place and had to ride slowly. Luckily, the engine and gear box of the Mojo were not affected by these roads and took it well – this kept me going. After riding through Dochula pass, we took a slight deviation and rode up to Punakha Dzong which happens to be the biggest Dzong in Bhutan. The Dzong has narrow roads with trees on both sides giving way to a rough river with wooden walkways that lead to a beautiful structure by the river side. And to make it all dramatic, there were few wild horses grazing around. I was determined on making it to Trongsa until we were presented with a landslide. However, locals offered me food and a place to rest so that we could start off in the morning once the landslide cleared. After the roads were cleared, we rode through the landslide area. Most of the lodges were shut due to lack of tourists which meant riding until finding a safe spot or lodge to rest. I was strongly advised to ride in a group and not stop and camp anywhere unless it was plain land. Wangdue was the stop for the day after dragging ourselves through slightly wet conditions. We celebrated this ride with a drink of the K5 (famous place around Bhutan) and called it a day post heavy dinner. Woke up to a foggy morning and following multiple rounds of butter chai, started riding up on my trusted Mojo to Trongsa. Rains from the previous night had increased the level of challenge during the ride and I was enjoying it since it had become more adventurous. I was shuttling between 1st and 2nd gear all through and in over eight hours and managed to cover only 80 km. Trongsa has a Dzong which is picturesque and I managed to get a room overseeing the whole view. While the route ahead was epic, I would like to mention about the one through the Phrumsengla National park. From Sengor to the forest area exit, it is about 40 km and sounds easy. However, it took over three hours to cover this distance. Shooting stones that I missed by few minutes kept my heart pounding all through and questioned my ride. I was unsure why I took this ride and that too solo. As I exited the wilderness and got on to open roads, I parked the bike and threw down my stuff, walked around for some time and thereafter started with my ride ahead. With this amazing journey coming to an end, I was glad to have the dependable Mojo as my choice for such terrain. The unstressed engine took away most of the beating and helped me explore more. I am not tired nor worked out about issues and not even carrying any back up parts for the Mojo. This means I am travelling light and bringing home more memorabilia. Mahindra Mojo UT 300 – whats different?